For Electrical Connector Traders, Electrical Shops, Power Adapter Retailers, Electronics & Hardware Stores, Other Similar Plug Adapter Manufacturers & Suppliers. Everything today, from smallest to the largest of the thing is being searched online. 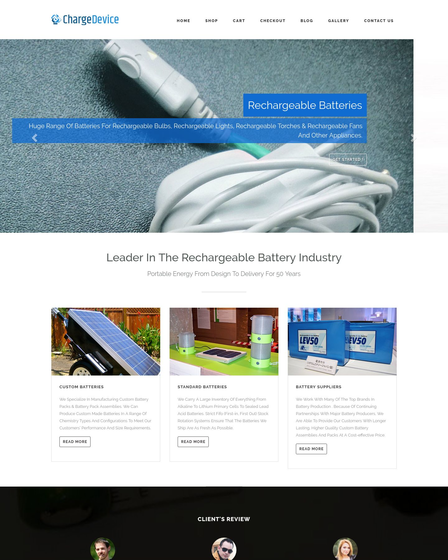 So, a website for plug adapters will not only help you to promote them to a grand level but also make it easy for customers to find good quality sockets & chargers. Plug Adapter WordPress Theme is a premium lightweight template that helps you to devise a self-explanatory online platform for power adapters. 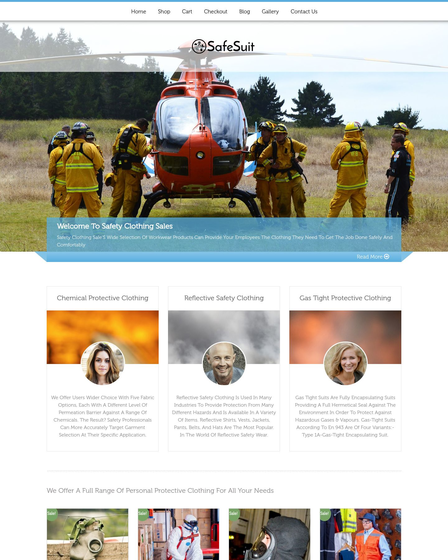 The top theme comes with a WooCommerce plugin enabling you to set up a sleek eCommerce website & presents the products for sale straight forth on the homepage. 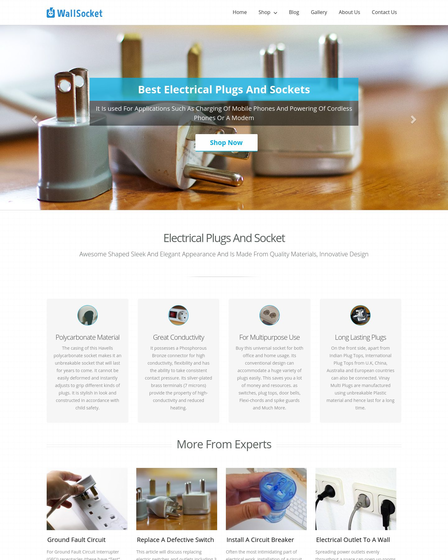 Electrical shops, electronics & hardware stores, power adapter retailers, electrical connector traders, other similar plug adapters manufacturers & suppliers can employ PowerPlug theme to mark their beginning on the web & enhance their business. From the back end, you can simply add the product names, their pictures, price tags, discounts & all these will be displayed on the shop page of the website. You can also categorize these electrical sockets & other products into different groups according to their pricings & popularity. The shoppers on the front end can sort out their search to find the most suitable product. Shortcodes like cart, checkout & single product page help you to easily manage the whole shopping procedure at your end as well as on the customer’s end. Clients can add/remove multiple plugs, switches, adapters into their carts & view the total amount of purchase before proceeding their payments. The checkout option drives the clients to the billing page, where they can choose to pay their bills from two modes of payment: Online with PayPal or offline by sending a check to your office address. Educate your clients about the smart charging capabilities, efficiency & other traits of the electrical plugs in the column feature segment. You can also add awesome font icons to each of them from the free 200+ Google icons to highlight their functionality. 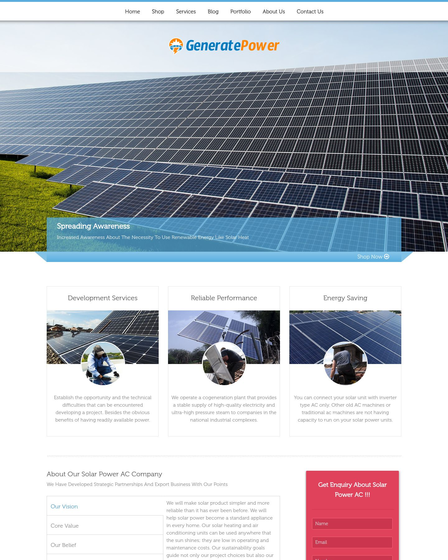 Flourish your electrical component company’s mission in the business tagline box of the homepage. This segment also holds a call to action button, which can be used to lead the site users & patrons to the shopping page. 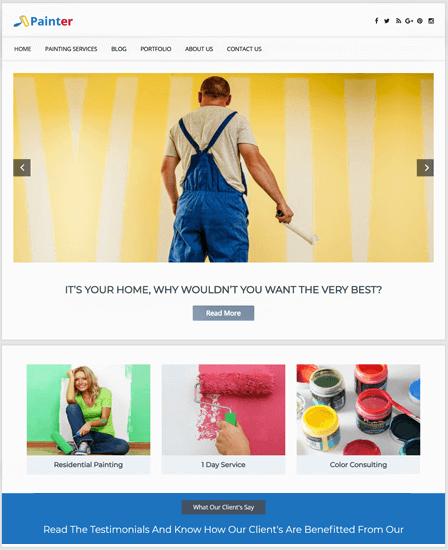 Connect with your customer base on a regular basis by giving them best advice or informing them about the latest addition to your electrical plugs store via blogs. The homepage blog post segment unveils all the updates & bulletins in a carousel manner along with the thumbnail images. Start building the confidence of your potential customers by presenting before them the reviews of your current prospects on the layered testimonial section. You can also display the photographs of clients & multiple credentials in the same panel. Display 5 images on the sliders. Link them to any page of the site. Runs efficiently on all browsers. Translation ready & passed W3C validation. Advanced typography & retina ready graphics. Social icons & copyright text on the footer. Widgetized footer area for company profile, gallery, etc. Place a search bar, top products on the sidebar of the pages. Upload company’s logo & favicon on the site.